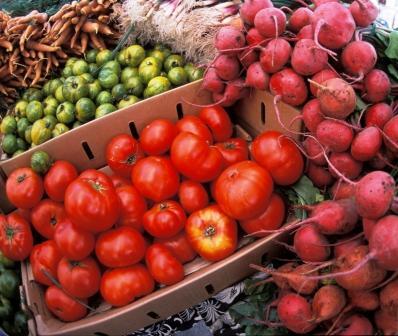 California produced the most vegetables in United States, which accounted for 48% of the nation’s value of fresh vegetables. Unquestionably, the sweet corn is the Rock Star of the Garden. From the minute the first seed is planted, I can actually taste this juicy nutritional flavorful vegetable. Perhaps you share my fond memories of sitting on the tailgate removing husks from the sweet corn, picking out the tiny silk strings, and investigating each ear for bugs or worms to be removed. All the time it takes to place the seed in the ground, nurturing its growth, and hand picking it in peak of ripeness to serve as savory vegetable for my family’s dining pleasure is well worth it. Read More about my family’s sweet corn adventure. The Sweet Potato was brought to America by Columbus and his shipmates. This vegetable became a resourceful food source in the colonial times. On his Virginia farm, George Washington grew sweet potatoes. Later, George Washington Carver derived over 100 different products from this sweet wonder. In World War I the sweet potato flour was used in baked goods to stretch wheat flour. Sweet Potatoes are actually not a relative of the Potato or Yam. It has more starch than potato and has many similar characteristics as the yam. In the United States the Sweet Potato is often marketed as Yam. As result, USDA has required the “sweet potato” yam to be properly labeled. A true yam is a starchy edible tuber that is generally imported from the Caribbean. The Sweet Potato plant is a tropical orange-colored root vegetable the thrive in long, hot summer of the South. It can be grown anywhere that has 150 frost-free days. On large farms, growers plant transplant in-depth of 3 inches at the end of May to early June. The transplant requires much need rain in the first 40 days. The ideal growing condition for the sweet potato is even rain to optimize yields. Although it grows on a vine, the edible part of the sweet potato is the root. 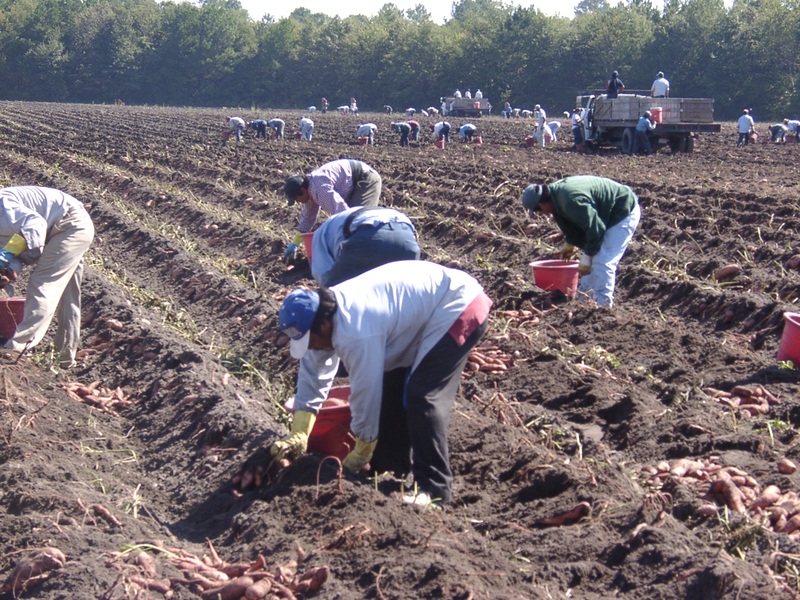 Since the sweet potato is very susceptible to damage at harvest, the majority are harvested by hand-See Picture below by the North Caroline Sweet Potato Growers. The USDA reports that the 2010 Sweet Potato Crop totaled 23.8 million Cwt and valued $478.3 million. North Carolina leads as the top producing state at 9.7 million cwt followed by California, Mississippi, and Louisiana. Internationally, China is the number one producer accounting for 81 percent of the global market. The Sweet Potato is naturally rich in Beta Carotene, Vitamin A, Vitamin C, Manganese, Fiber, and Antioxidants with a low-calorie count. A medium sweet potato (2 inch diameter and 5 inches in length) is 100 calories with out the fixings.